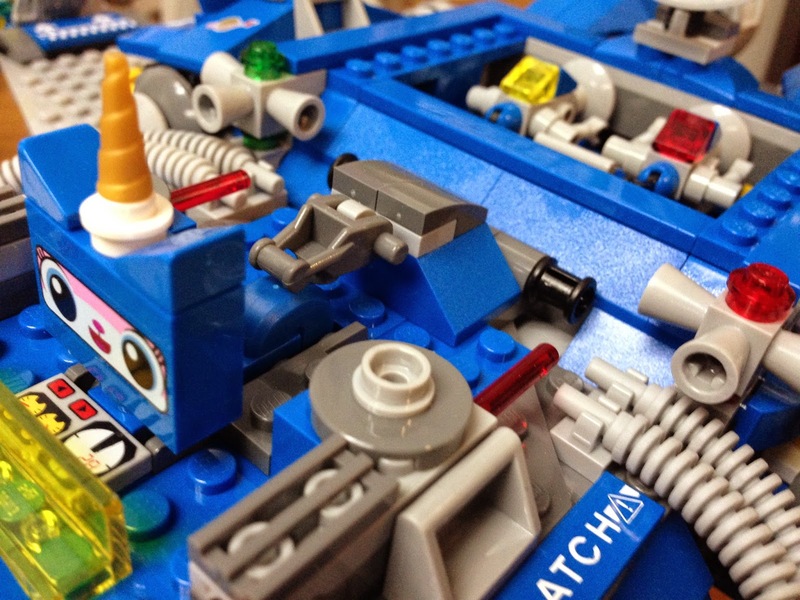 This is the first post of a new series of Lego-related posts. I have a few things I've been designing that I think are neat, or in this case, are fixes for existing sets. 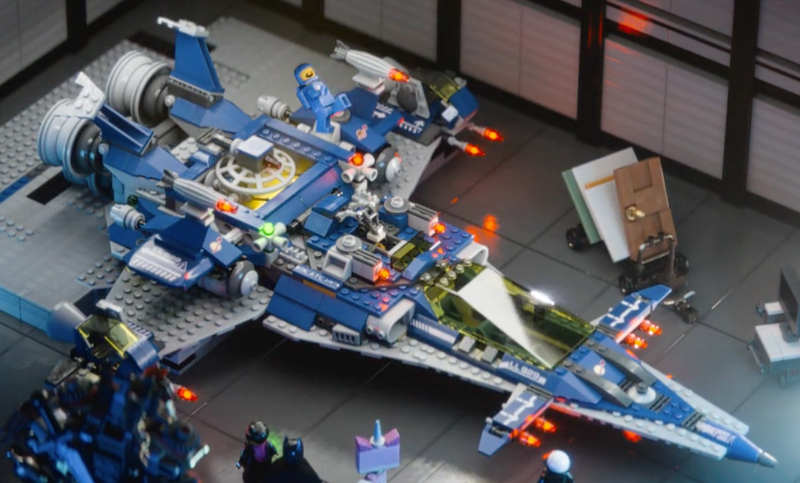 The Lego Movie came out last year, and it was AWESOME. 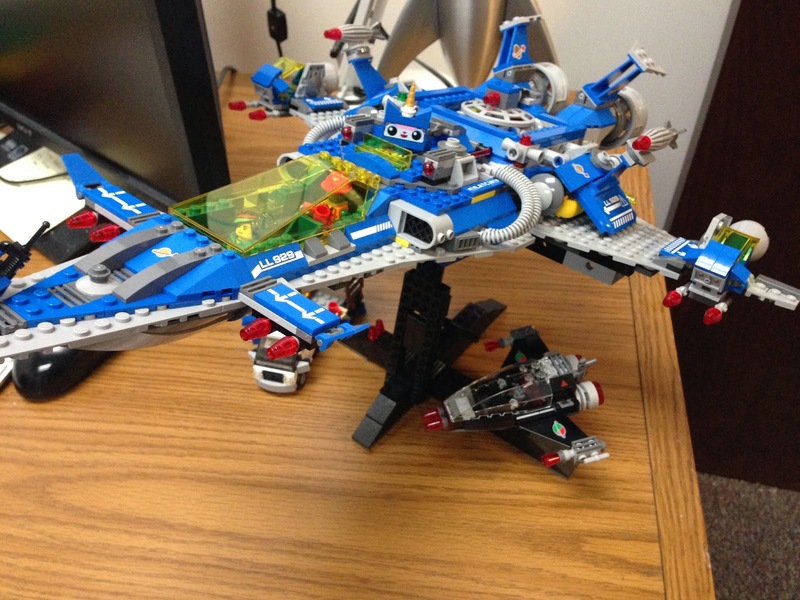 I bought 70816 "Benny's Spaceship, Spaceship, SPACESHIP", and had a great time building it. After re-watching the film, I noticed a couple of differences between the model in the movie and the real-life one. 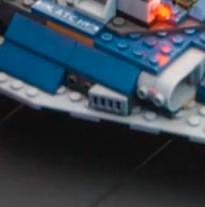 Let's start off this series by showing two of these differences in Benny's spaceship, as well as a very simple modification to fix one if them. 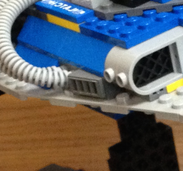 Right in the center of the above images, you can see a 61409 1x2 slope with 4 slots. I should note here that there are a few different versions/names of grays, including light blue-gray, dark gray etc, but for the sake of simplicity, I'll just use "light gray" and "dark gray" in this series. The model in the movie (first image) shows this part in light gray, while the constructed model is dark gray. This part is not available, nor has it ever been, in light gray. So, sadly, we can't fix this one. 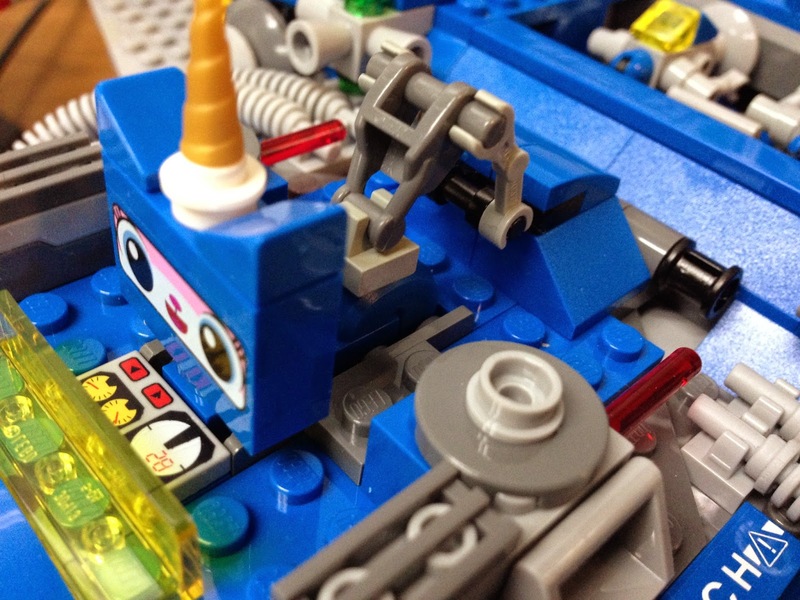 If you look carefully in the above image of Benny's ship, you will notice that the area that holds Astro Kitty in place is different than the model. I have fixed this and you can see the results in the above images. The first one shows the version from the model, whereas the second one is film-accurate.